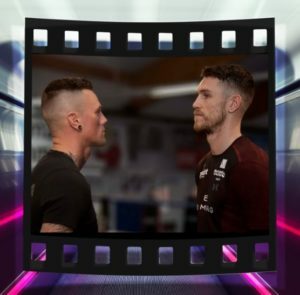 Saturday night from the Forum in Inglewood, California a WBA world title double header co-promoted by Golden Boy and Teiken Promotions was broadcast on HBO. In the main event WBA lightweight champion Jorge Linares placed his title on the line against Mercito Gesta. The nights co-feature would be Lucas Matthysse facing Tewa Kiram for the vacant WBA regular welterweight championship. In the main event Jorge Linares put on a world class dominate display of boxing ability against Mercito Gesta. As is not his custom to begin quickly, Linares used the first two rounds to gauge the speed and timing of Gesta before entering his own rythm. Once he began to find his groove, Linares peppered Gesta with combinations to both head and body while using superior footwork to keep Gesta from closing the distance. There would be moments of offensive success for Gesta but he could not keep up with Linares pace or time his movement. When the bout was over, Judges scored it 118-110 twice and 117-111 all for Jorge Linares who retained his title and improved to 44-3 (27), despite a solid effort Mercito Gesta drops to 31-2-2 (17). In my opinion Mercito Gesta would do himself favors by losing a small amount of muscle mass and drop a weight class to capitalize on his natural ability. 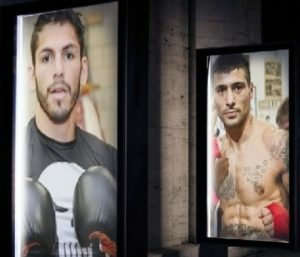 As for Jorge Linares near future, the divisions WBC champion Mikey Garcia has an upcoming title opportunity at 140lbs against IBF belt holder Sergey Lipinets on March 10th, should he be successful or fail in capturing that title and decide to remain at 135 lbs, the WBC has ordered purse bids between Garcia and Linares to begin on March 12th. 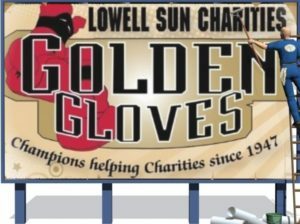 When former 140 lb world champion Lucas Matthysse stepped in against little known Tewa Kiram for the vacant WBA regular welterweight title, there were questions being asked of both fighters. One of course “Who is this Tewa Kiram”? 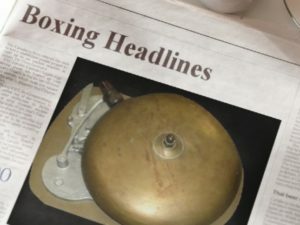 There was little footage of the undefeated former Thai fighter despite a 38-0 (28) boxing record which was built mainly against even lesser known competition. The second was “Can Matthysse who has fought only once, since being dominated and stopped by Viktor Postol in 2015 deal with a larger, younger opponent in a division past his most effective. ?” When same day weights were announced and Kiram stepped on the scale as a “Middleweight” he became the betting favorite. In the early going it looked as though Kiram, though a very basic fighter would wear Matthysse down using nothing more than his “One Two” combinations. The former champion lacked speed, accuracy and power behind his punches. The tempo of the fight never changed, Matthysse moved forward landing an occasional punch that showed no visible effect while Kiram plodded and let loose an occasional combination. In between rounds four and five the commission viewed Kiram inhaling a substance from a glass bottle, they seized the bottle for further investigation but allowed the fight to continue. Once the fifth began Kiram seemed even slower than in earlier rounds and punches of Matthysse despite his pace or effort improving were showing to have more of an effect. no way is Lucas Matthysse despite scoring a stoppage win and winning a world title ready for this divisions upper tier. As for Tewa Kiram no matter whats found in that bottle by the California state commission will more than likely not be fighting in the United States again anytime soon. Super Lightweight- Marcelino Nicolas Lopez 34-2-1 (19) def. Breidis Prescott 30-12 (22) via KO 5. Lightweight- Romero Duno 16-1 (14) def. Yerdley Armenta Cruz 22-10 (12) via KO 1. Featherweight- Francisco Esparaza 7-0-1(3) def. Tenochtit Nava 7-1 (1) via KO 6. Featherweight- Ferdinand Kerobyan 8-0 (4) def. Lucius Johnson 4-2-1(3) via UD 6. Featherweight- Francisco Javier Munoz 5-0 (3) def. Danny Flores 15-12-1 (8) via UD 6. Super Welterweight- Daquan Arnett 17-1 def. Osbaldo Camacho Gonzales 6-2 (4) via UD 6.